It will be the third time for Bowers Museum to present Terracotta Warriors. 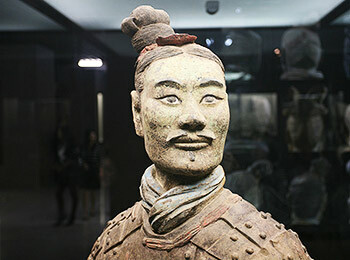 From May 24th to October 13th of 2019, the National Gallery of Victoria in Melbourne will hold a Terracotta Warriors exhibition themed as ‘Guardians of Immortality’. Many valuable cultural relics including 8 Qin pottery warriors, 2 Terracotta Horses and 2 chariots as well as over 150 bronze wares, gold and silver works, and jade ware of the Western Zhou Dynasty (1046 BC - 771 BC) and Han Dynasty (202 BC-220 AD) are displayed in this exhibition. In addition, the new works of contemporary artist Cai Guoqiang, called ‘The Transient Landscape’, will also be held there during that same period of time. 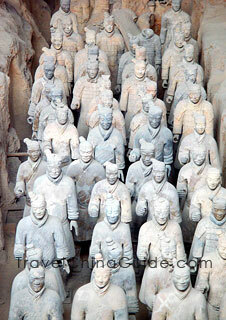 Some statues of Terracotta Army will be on exhibit at the Te Papa Museum in Wellington, New Zealand. 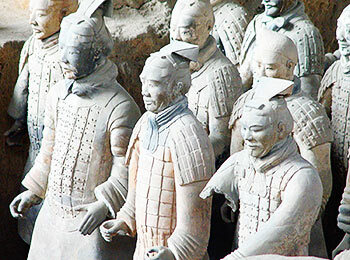 Three types of Terracotta Warriors exhibits are expected to see, including 8 terracotta warriors, 2 terracotta horses, 2 replicas of bronze chariots. Over 160 pieces of jade ware and bronze ware are displayed as well. Previously, mini-sized Terracotta Army has been displayed in Wellington, while this time visitors can enjoy life-sized genuine statues there. Meanwhile, the museum is planning to hold a China contemporary art exhibition to integrate the Terracotta Army exhibition with the celebration of Chinese New Year. 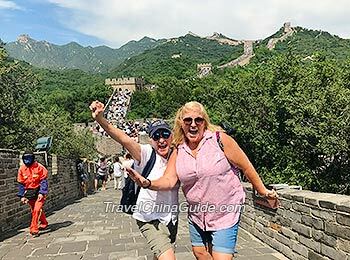 How many statues do they have at each display? They're in the UK and Cincinnati at the same time. It’s reported that over 100 relics are on show, but didn’t find the exact number. There were around 10 Warriors.,, Many artifacts,,,Very Interesting.